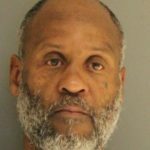 Wilmington (19802) – The Delaware State Police have arrested a Wilmington couple on robbery charges after they assaulted an employee while attempting to shoplift. The incident occurred at approximately 9:45 a.m., Tuesday, November 18 at the Dollar Tree, located at 3600 Miller Rd., Wilmington. 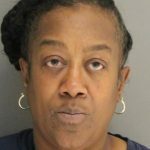 A female suspect, later identified as Valencia C. Weddington, 57, of Wilmington was observed by Dollar Tree employees exiting the store with a shopping cart filled with merchandise, which she had not payed for. Weddington then forced open the entrance door and began to exit at which time she was confronted by the employee, and asked to return the merchandise. Weddington refused to comply at which time the employee attempted to gain control of the shopping cart. Weddington then grabbed the employee by the arm and threatened to punch her in the face if she didn’t let her leave. A second suspect later identified as Weddington’s husband, John Singleton, 54, approached and also grabbed the employee and made a threatening statement. The employee was able to break free from the grasp of both suspects and returned back inside the business, recovering the cart in the process. Both Weddington and Singleton then fled in a vehicle which was parked in the lot. The employee sustained minor injuries as a result of the altercation. Through a variety of investigative measures Troopers were able to locate the vehicle involved in the incident which was then positively linked to Weddington and Singleton. On Monday, December 3, 2018 both suspects turned themselves in at Troop 1 where they were each charged with one count of Robbery 2nd Degree. They were then arraigned in Justice of the Peace Court #11, with Weddington being released on $5000.00 unsecured bail and Singleton on $1000.00 unsecured bail.